Camping can be a nice idea for a family getaway, especially if you are on a budget and you already have the necessary equipment. Adults find this way of spending a holiday or a weekend relaxing, but kids may soon complain of boredom after arriving on the campsite . While parents see camping as a means to escape from the hectic rhythm of everyday life and spend a few days in the middle of nature, away from the computer screen, the TV and the pollution of urban centers, children are full of energy and they cannot simply lie back, a book or a magazine in their hands, listen to nature’s sounds and contemplate the amazing beauty of the surrounding. Therefore, if you want to be able to enjoy your holiday and not get too many questions like “What are we going to do next?”, plan ahead for your getaway. 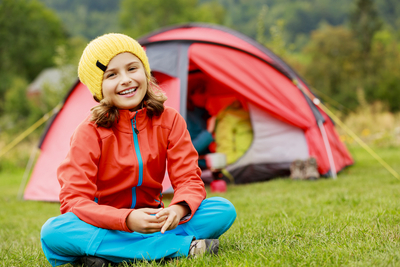 Here are some ides of fun activities you can do with your children while camping. While getting some inspiration here, make sure you take your children’s age and interests into consideration. This is a highly educational game you can organize especially for small kids. 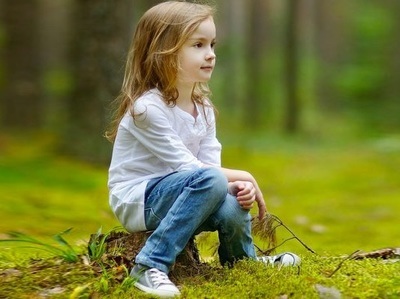 They will have loads of fun while also learning lots of useful things about nature. 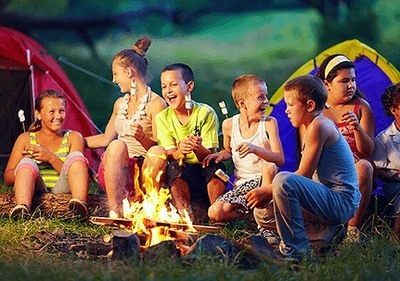 If you are camping in the forest, make a list of specific items such as leaves (you can enumerate also the trees), sticks, stones (different shapes and colors). This is a good opportunity to explain to them to collect only leaves that have already fallen on the ground and not to pick up flowers unnecessarily. If you bring a magnifying glass with you, your kid will have the chance to spend hours of passionate exploration. Another idea, still for young children, is represented by leaf rubbings. Just bring with you some colored pencils and teach them how to make the first one and they will create valuable memories from this trip. You can also bring some paper, scissors and glue besides the pencils and if you encourage children to use their imagination, they can make true works of art using natural elements. Here's some easy instructions if you've not done this simple craft before: Step by Step Leaf Rubbings. Some campsites suggest already marked trails in the surroundings and provide tourists with maps to orient themselves. Choose an easy one and send you teenage kids to explore nature on their own. However, make sure you have given them all the instructions on how to stay safe while hiking. If you brought bikes with you or if you can rent them on the spot, they will extend the area your kids can explore for a few hours. 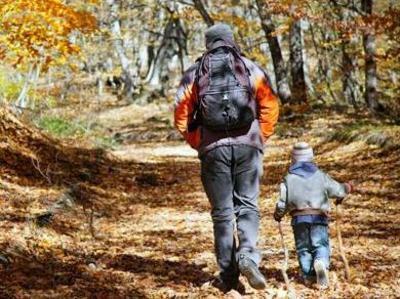 On the same basis, you can teach kids to mark their own trails so that they know how to come back. What would a camping getaway be without a campfire? This is the moment the most waited for by the little ones. With a bit of imagination, you can enhance their experience by saying riddles around the fire, playing games, cooking or creating things. The most common games ideas are “telephone” (one simple sentence is whispered from ear to ear and the last person in the row utters it out loud) or “20 questions” (with an object in mind, a player answers the others’ questions so that they get to identify the object). They may seem simplistic, but they create an opportunity for having fun and spending family quality time. Everybody knows that kids love marshmallows. So, why don’t you take some skewer sticks, melt the gummy sweets and let your kids model them into different shapes? What's Your Idea of a Romantic Break?